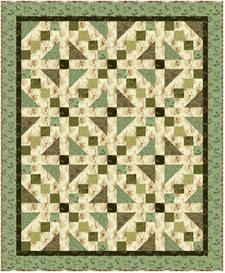 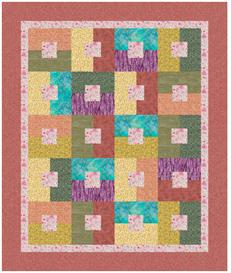 Exuberance means full of unrestrained enthusiasm or joy which is exactly what this 44 x 52 quilt feels like. 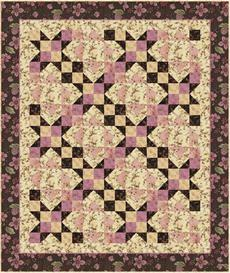 This fun little quilt makes up quickly and easily out of six fat quarters, plus some yardage for the borders. 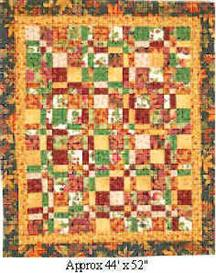 Use up your fat quarters and make it scrappy, or use just 2 colors to make it dramatic.